17 years experience in Myotherapy. 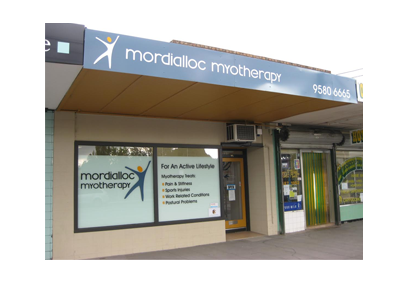 Member of Myotherapy Association of Australia. Provide myotherapy to people of all ages with any variety of musculoskeletal pain and dysfunction. We use strategies derived from evidence-based scientific research to advise you on how to avoid or reduce the likelihood of back pain. Appointments available Monday to Friday between 8:30am and 7:00pm and Saturday mornings. Free parking available directly outside the clinic, including disabled parking space. Andrew is one of Australia’s more experienced practitioners with over thirteen years alongside sports doctors and leading physiotherapists. He treats people of all ages and conditions with a focus on the cause of pain, not just on treating the symptoms. Our services are avaliable Mon - Sat, click here to view the opening hours. If you would like to request an appointment please click here to fill out our online contact form.